Nails — David Michael Salon and Day Spa - Hair, Nails, and Facials We specialize in many styling services and beauty treatments coupled with the flexibility of our packages and pricing. Our professional, knowledgeable, and experienced technicians will pamper you with the finer things in life that refresh and rejuvenate your hair, skin, and soul. Come experience our calming and soothing ambiance and let us give you service with a “personal touch." 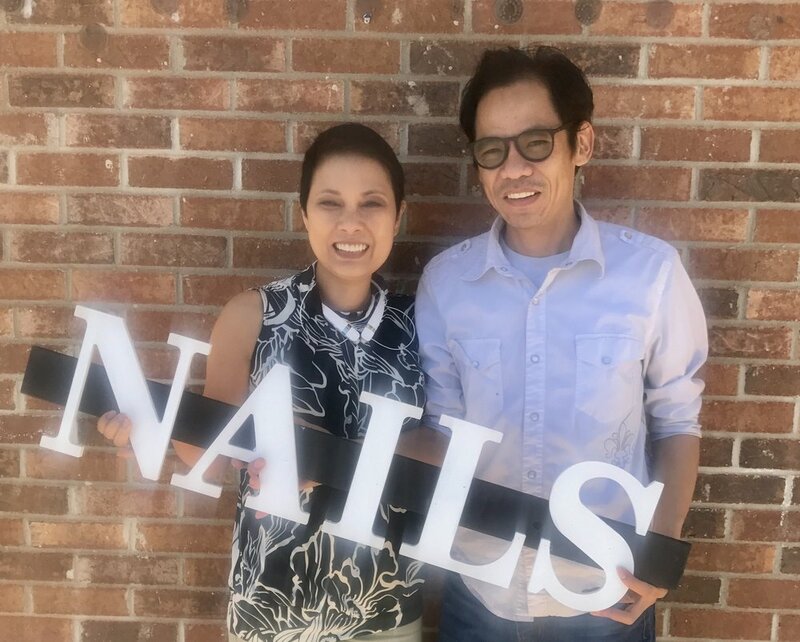 Le and Kevin are the former owners of Annie Nails in Simpsonville, SC. They have been doing beautiful custom manicures and pedicures for people in the upstate for over 20 years. The Nail Service at David Michael Salon and Day Spa is committed to the health and beauty of individuals. Our spa treatments are designed for specific needs on your hands and feet. Every single element inside David Michael Salon and Day Spa has been carefully tested by us before bringing it to you. Our goal is to provide the healthiest and longest lasting results at an affordable price. Basic Manicure/Pedicure - Our Basic Mani/Pedi is our deluxe Mani/Pedi. It is the callus treatment, sea salt scrub, mask wrap and hot towel. polish included. gel polish extra. hot paraffin wax treatment manicure/pedicure - Our most popular treatment is the basic mani/pedi along with the soothing hot paraffin wax treatment for your hands and feet. this includes the callus treatment. polish included. gel polish extra. triple manicure/pedicure Paraffin and hot stone - Treat your tired hands and feet with this combination treatment. after a basic mani/pedi grooming, you will experience the wonderful feeling of the callus elimination for your feet. the exfoliation of your hands, arms and feet with sea salt scrub. then have your arms and legs wrapped in a warm soothing paraffin wax treatment. polish included. gel polish extra. hot stone manicure/pedicure - In addition to the deluxe mani/pedi, customers will enjoy a special treatment of hot stone massage to help soothe your aching muscles and joints. Also includes the callus treatment, sea salt scrub, a mask wrap, hot towel, hot stone massages. polish included. gel polish extra.